The Vaseline Healthy, Even Tone range is formulated with micro-droplets of Vaseline which helps to restore skin from within leaving it radiant and visibly more even-toned. It is also formulated with Vitamin B3 and incorporates triple sunscreens, both of which aids in matching your uneven and discolored areas to your body’s natural shade. Vaseline states that within 2 weeks of daily use (morning and evening), your skin will be visibly more radiant and even. I’ve never been disappointed with a Vaseline product before and every time I tested out a product, it always delivered on its promise, so I’m quite confident that in 2 weeks you will notice a difference in your skin. I’m beginning my 2 week trial with this range today, so be sure to check back here in 2 weeks to read all about how it improved my skin! 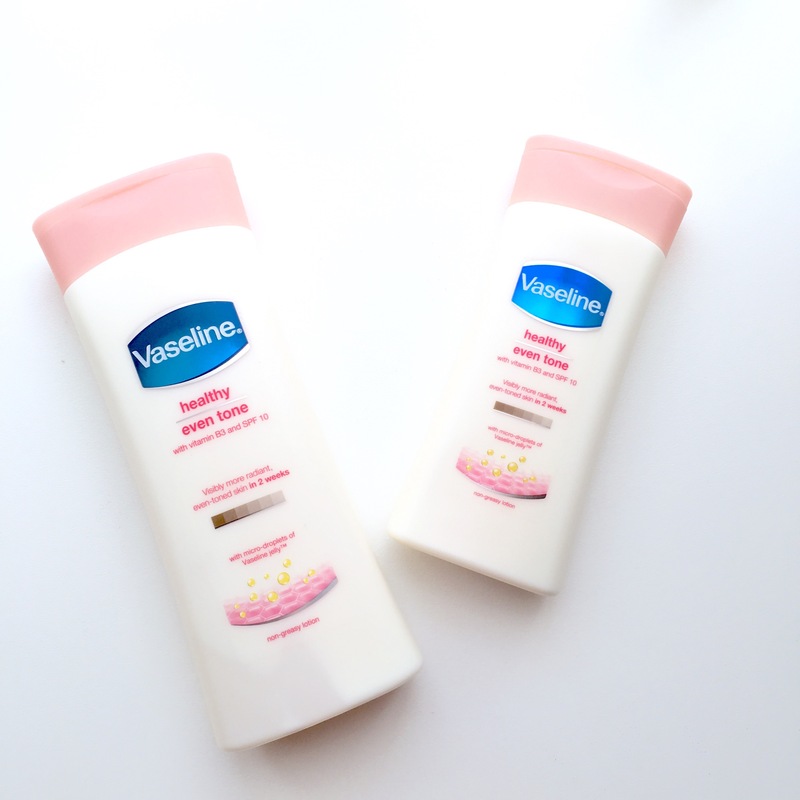 You can purchase the Vaseline Healthy Even Tone range from Clicks, Dischem and basically any other store that you would usually purchase your body care products from. They’re available in a lotion (200ml and 400ml) and a cream (350ml and 500ml) variant and prices range between R33.95 and R54.95, depending on where you purchase from! Here’s to healthy, even-toned skin! wow thanks so much for sharing this! I’ve been struggling with uneven skin tone and pigmentation for the past few months. I can’t wait to see your results and hopefully they sell this product in Australia so I can purchase it.